Black 2019 Mercedes-Benz E-Class RWD AMG® Exterior, Lighting Package, Parking Assist Package, Premium Package 1. 20/28 City/Highway MPG If you're interested in a Mercedes-Benz model or used car and live in Napa, Vacaville or Vallejo CA, you're in luck! Mercedes-Benz of Fairfield has a stellar lineup of new and used cars, including the Mercedes-Benz C-Class, E-Class, M-Class and GL-Class, among many others. We're also more than happy to help you find just the right car, in person at 2950 Auto Mall Parkway Fairfield, CA. Our Mercedes-Benz experts are at your service to share complete specs of the cars you're interested in, compare different luxury models, and arrange test drives. Get a C-Class, GL-Class, S-Class, SL-Class, and E-Class from Mercedes-Benz of Fairfield and you'll get a great vehicle, at a great price, with the experience and dedication of our team behind you throughout the purchasing process, and the duration of your ownership of your Mercedes-Benz automobile. Make sure to look at our New Vehicle specials ! Our service to you does not end at the sale. Call us anytime with questions. Our entire team is here to help. If you're looking to purchase from a dealership dedicated to its customers, come visit us and experience our service for yourself!Black 2019 Mercedes-Benz E-Class RWD AMG® Exterior, Lighting Package, Parking Assist Package, Premium Package 1. If you're interested in a Mercedes-Benz model or used car and live in Napa, Vacaville or Vallejo CA, you're in luck! 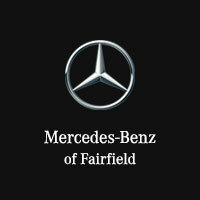 Mercedes-Benz of Fairfield has a stellar lineup of new and used cars, including the Mercedes-Benz C-Class, E-Class, M-Class and GL-Class, among many others. We're also more than happy to help you find just the right car, in person at 2950 Auto Mall Parkway Fairfield, CA. Our Mercedes-Benz experts are at your service to share complete specs of the cars you're interested in, compare different luxury models, and arrange test drives. Get a C-Class, GL-Class, S-Class, SL-Class, and E-Class from Mercedes-Benz of Fairfield and you'll get a great vehicle, at a great price, with the experience and dedication of our team behind you throughout the purchasing process, and the duration of your ownership of your Mercedes-Benz automobile. Make sure to look at our New Vehicle specials ! Our service to you does not end at the sale. Call us anytime with questions. Our entire team is here to help. If you're looking to purchase from a dealership dedicated to its customers, come visit us and experience our service for yourself! Grey 2019 Mercedes-Benz E-Class RWD AMG® Exterior, Parking Assist Package, Premium Package 1, Sport Package. 20/28 City/Highway MPG If you're interested in a Mercedes-Benz model or used car and live in Napa, Vacaville or Vallejo CA, you're in luck! Mercedes-Benz of Fairfield has a stellar lineup of new and used cars, including the Mercedes-Benz C-Class, E-Class, M-Class and GL-Class, among many others. We're also more than happy to help you find just the right car, in person at 2950 Auto Mall Parkway Fairfield, CA. Our Mercedes-Benz experts are at your service to share complete specs of the cars you're interested in, compare different luxury models, and arrange test drives. Get a C-Class, GL-Class, S-Class, SL-Class, and E-Class from Mercedes-Benz of Fairfield and you'll get a great vehicle, at a great price, with the experience and dedication of our team behind you throughout the purchasing process, and the duration of your ownership of your Mercedes-Benz automobile. Make sure to look at our New Vehicle specials ! Our service to you does not end at the sale. Call us anytime with questions. Our entire team is here to help. If you're looking to purchase from a dealership dedicated to its customers, come visit us and experience our service for yourself!Grey 2019 Mercedes-Benz E-Class RWD AMG® Exterior, Parking Assist Package, Premium Package 1, Sport Package.